As a demonstrator you will receive a 20% discount on all products from the current catalogues. You might want to sign up as a demo just to get the discount...and that's OK! When you stop being a demo there are NO penalties, nothing to pay back....you just get a great deal with added benefits! As a demonstrator you get to see the new catalogues and order the new products earlier than our customers. 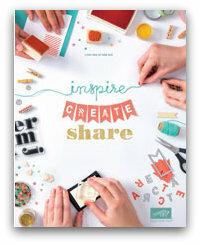 You can even earn new product bundles for free or at a reduced rate if you decide to build a career with Stampin' Up! One of the amazing benefits of being a Stampin' Up! Demonstrator are the friendships that you can build. Whether you decide to be a demonstrator purely for the discount; a hobby demo that runs the occasional workshop; or a career demo....the opportunities to attend events and build friendships will be there for you! As a Stampin' Up! Demonstrator you choose...your way! If you decide to run a business you can earn extra money by running your business at your own pace...fit your business around your family, around your life. Over ten years ago I attended my first ever Stampin' Up! workshop while I was living in Florida. It came at just the right time for me as I had just moved to a new area and felt a little lost. I hadn't crafted for years and was surprised to find that I really enjoyed it, and loved my demonstrator's ideas and projects. I made new friends and fell in love with stamping. That was it, I was hooked! When I came back to the UK I missed everything Stampin' Up! and would send emails to the Utah head office asking when they were heading to the UK. Well finally that day arrived in November 2007, Stampin' Up! were open for business in the United Kingdom. That was when I became one of the first independent Stampin' Up! demonstrators in the UK and have never looked back. What a job to have! I am working for myself so I can fit in with my family; and I am having so much fun at the same time. My work and my hobby - one and the same! Not many people can say that can they? I have met so many lovely people through Stampin' Up!, many of whom have become friends. 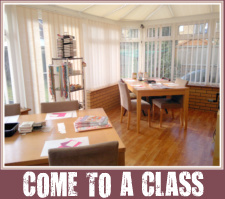 I enjoy running clubs, and classes and one of my favourite things is when I am invited to hold a workshop in a customers house. I love to see the look of achievement on a new crafters face when she makes her first card, or the look of excitement on a class attendees face when she learns a new technique. In short....I LOVE MY LIFE WITH STAMPIN' UP! 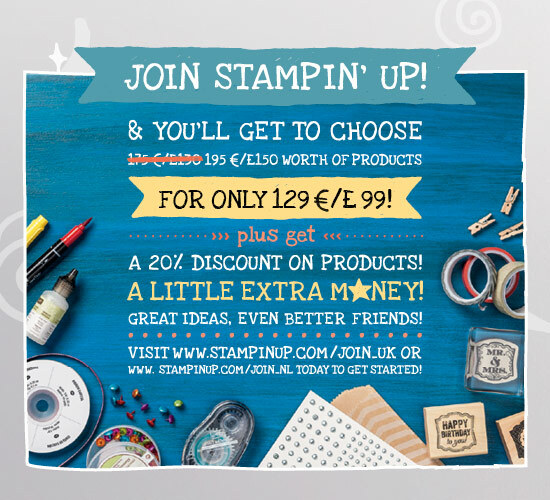 If you would like to join the Stampin' Up! family, I would love to have you join my team. Contact me for more information or sign up online here.